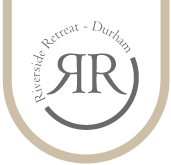 My wife and I have stayed in holiday rentals for many years , favouring the independence over a hotel, and without doubt Riverside Retreat is the best yet. From the excellent communication and welcome from James and the stunning location to the 5***** comfort and attention to detail this is a quite wonderful apartment. James mentioned that if the flat is not rented out he and his wife might pop in and have a drink on the terrace over-looking the river and I think therein lies the secret of this place – its furnished as if they lived there, not the sparse minimum you get in many places but a real sense that this is all about comfort and convenience. And when you venture out it is literally a 2 minute walk to the centre yet the flat is very quiet and relaxing. Thoroughly recommend it.